The John D. Nielsen Observatory was dedicated on August 11, 2000. Its construction was made possible by the contribution of a 4-inch Unitron refracting telescope and a 14-inch Celestron C-14 telescope by Mrs. Rosalie A. Nielsen in memory of her late husband, John D. Nielsen. 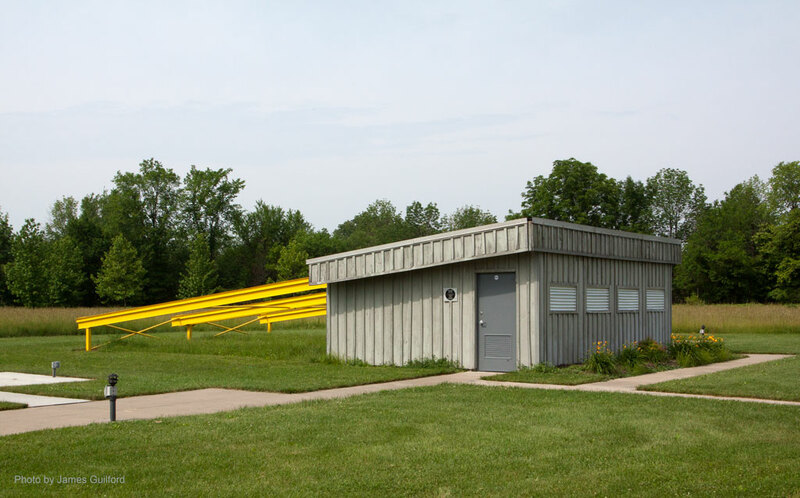 The observatory was constructed by the Lorain County Metroparks with cooperation through design ideas, advice, labor, and monetary contributions by The Black River Astronomical Society and some 38 other companies and organizations. Public observing at the Nielsen Observatory is offered on a regular basis (see their website for schedule). Situated in the Carlisle Reservation of the Lorain County Metro Parks system, the Nielsen Observatory features a unique, two-section slanted slide-off roof. It is handicapped-accessible, and has outdoor electrical plug-ins and observing pads to the east and west, with restrooms nearby.